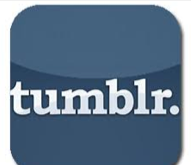 Yahoo Or Google, Will Tumblr Change Which Website You Visit? For the past few years Yahoo.com has struggled to keep its website and affiliates at par with its competitors, which include Google, Ask, and Bing. 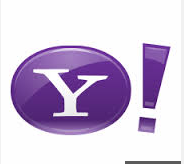 Yahoo has relentlessly tried to modify its site to meet the demands of its customers, as well as retain new users to visit the once sensational site. Three years ago Yahoo completely changed its design capacity for the site, going from a search engine with many links, to a website that prioritized news feed. This new integration has helped the site reach new heights, but has still left them in the dust compared to its main competitor, Google. Around the same time as Yahoo’s new design, which helped utilization and efficiency for the website, Google purchased an even bigger venture, known as YouTube. This astounding company has helped Google become a giant in their industry. In addition, Google recently has increased its stock share to over $900 per share, making it one of the highest growing stocks of this year. Yet Yahoo is still at a measly $26 per share, but has been increasing for the better part of six months. Why has Yahoo’s stock been increasing when Google has completely overwhelmed all of its competitors? I firmly believe that Google will always hold a slight edge over Yahoo, mainly because of its simplistic search engine. However, I do consider that this new business enterprise will dramatically increase user traffic on Yahoo’s website. Do you think that Yahoo will finally be at par with Google, or will they continue to be an after thought in the search engine industry? Moreover, do you use Tumblr, and if so do you think this will prompt you to use Yahoo more often? These are questions I am very curious about, as I believe Yahoo will become a giant along side Google moving forward. Go Ahead, Drink on the Job! Many companies would frown upon an employee enjoying a drink during the workday but The Life is Good Company would beg to differ. The Life is Good Company is a Boston-based apparel and accessories brand that aims to be unique and fresh. They have focused their efforts on improving employee productivity in a totally new way. No they didn’t try a cash incentive program, prizes, or extra vacation days, they thought having a tavern in the office would increase productivity. The Life is Good Company is in the process of installing a tavern in the middle of their office. The tavern will include a stage, to host live music, shuffleboard, billiards, and a basketball hoop with enough space to hold at least 260 people. They want to have a comfortable place where employees can “put their feet up and relax” while doing their work. Hungry? Grab a booth, food, and hold an informal meeting. The boss says it’s okay. The Life is Good Company isn’t promoting people to be drunk, driving while drunk, or alcoholism. They just want their employees to be comfortable and productive at work. They would even say having a tavern is appropriate to their brand. Most of The Life is Good Company employees often grab a drink after work, so why not let them do it at the office? An area The Life if Good Company is trying to improve might just the area that disappears. The book states that labor productivity will increase due to “healthier, better-educated, and better nourished labor force” and poor diets are a major downfall to productivity. Having a glass of red wine a few times a week is good for your diet but will these people really be drinking red wine? Beer and hard liquor are not conducive to a healthy diet. Having a tavern in the office will encourage people to drink. Many people are social drinkers. Having a bar will distract people from working and increase socialization. Product organization may suffer because it requires management and attention. The operations management team is not being socially responsible or ethical. The workplace has the potential to be a harmful environment to co-workers and prospective business partners. The ability to measure productivity will be increasingly hard as more employees spend time in the tavern. Another area that could see a decline in growth is quality management. The increase in alcohol could lead to a decrease in quality. The product could suffer because a questionable product could be produced. Many people who drink think certain ideas are better than others maybe that is why a tavern is being installed at The Life is Good Company. Do you think having a tavern in the office will increase productivity? Is having a tavern in the office ethical and socially responsible? What possible management issues will the Life is Good Company run into because of having a tavern in the office? Can a tavern in the office have a positive influence on the company’s brand image? Be GREEN, or be SQUARE! More and more customers now are looking for companies to be transparent, but it’s kind of hard to be competitive and sustainable at the same time. Companies are now using value chain processes to get the job done fast. They are not only focusing on suppliers but also taking into account By-Product-Synergy, which is “taking waste from one part of the production process and using that waste in order to generate a new product.” But how can companies become more sustainable if only “80 percent of management uses just 20% of the available opportunities? !” The remaining 80 percent is where management needs to focus the rest of their energy. It’s crucial for management to set goals and assess their risks, thereafter they can easily seek out opportunities for future improvement. The first step to become a transparent company is to implement a sustainability program, and of course to develop a strategy. The next step is to identify the companies “main processes and map data throughout the value chain.” By using life-cycle-assessment software, the companies will have a more clear idea of how to lower their costs. Elevators use LED lights which reduce energy consumption by 80%, and automatic fan and light shutoff which reduces CO2 emissions by 193,000 tons per year. Getting rid of harmful chemicals used to manufacture the elevator. Elevators are equipped with regenerative technology, meaning that the energy generated from the braking system is put back into the building. In a way the article gives motivation to other companies who are taking their first steps towards becoming a transparent company. It gives them few ideas and pointers on “unlocking supply-chain opportunities.” It’s important for different industries to decipher various ways to be more environmental friendly. After all, there is more to being sustainable than just showing off your environmental initiatives. Do you think ThyssenKrupp can take additional measures to make their company more sustainable? Or better yet, are there any companies that you want to see become transparent in the near future? How would they need to change there operations? This week we learned about Service Productivity. It reminded me of one of the Finance Retreats at my last internship with the Chicago Housing Authority (CHA). The CHA provides a service to the residents of public housing and section 8 voucher holders. The retreats were led by the CFO, and designed as a way for finance staff members to leave the office building, meet at a central location for the purpose of doing team building exercises and brainstorming as a group on how to be more productive around the office. This productivity included saving the company money, how to work cross-departmental cohesively, and how to bring extra revenue into the company. One of the reasons it is so important to conserve money at the CHA, is because they are one of the few housing authorities across the country who are given money by The U.S. Department of Housing and Urban Development (HUD) to use where they need it, for things such as resident programs. Other housing authorities are told by HUD where they must spend the money. We had several unused industrial sized printers sitting in the hallway. We decided to sell them and use the money to purchase new ones. Instead of each group within Finance (budget, financial reporting, treasury etc.) ordering their own supplies, one person would be responsible for ordering supplies. This would cut down on extra unused supplies and double ordering. We determined that employees in one area of finance may not be respecting due dates, which would cause another area to be late submitting reports, in turn lowering productivity. For example, financial reporting may depend on certain numbers from Accounts Payable (AP) within a given time frame. If they don’t receive those numbers, they cannot complete their reports. The CHA is one of the largest housing authorities (HA) in the country. We decided to use our staff as consultants to advise smaller housing authorities on various issues. Productivity is defined as the ratio of outputs (in this case service) divided by the inputs (labor and capital). In these three cases, the CHA is using its employees as input and the output is the savings of money and employee time, as well as revenue generated which translates into money that can be used to further service the residents. 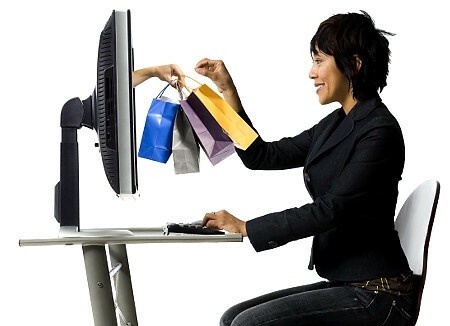 What are some ways you have improved service productivity at your company? Blackberry: A Globally Local Phenomenon? I use my Blackberry more than I would like to admit (thanks to the curse of BBM); most Blackberry users do! 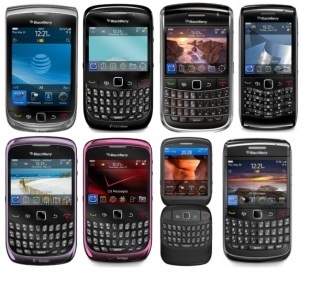 Canadian company Research in Motion (RIM) has been producing the Blackberry since 1999. Today, Blackberry accounts for 3% of the total mobile sales in the world. Though this may seem to account for a small number, the Blackberry has had significant social implications in the region in the past few years. The Blackberry has redefined the way people interact not only with their phones, but also with one another. Thanks to their instant messaging platform Blackberry Messenger (BBM), RIM was able to make messaging, sharing photos and broadcasting information so easy and so accessible. In doing so, RIM was able to penetrate markets, such as ours in the Gulf, to meet market demand for easy exchange of information and media. Keeping in mind objectives and strategy in a global environment, I will explain this blackberry phenomenon in the context of operations management. Having this in mind, it is important to understand the RIM, while initially aimed for a business customer base in North America and Europe, was able to diversify into Middle East markets, particularly in the Gulf where mobile phone usage is very high. This issue of globalizing the business explains that RIM was not only able to understand the market at hand, but also learned to improve their operations abroad to attract and retain global clients and talent. In seeing this shift in global markets and adapting to this new commercialized leisure customer base, RIM began providing better goods and services that keep in mind the cultural mindset and markets. 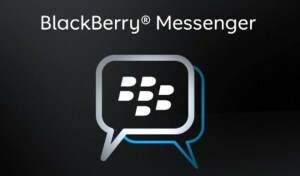 They introduced the “display pictures”, for example, to their popular BBM application and made photo sharing instantaneous and easy. Both these features show that this interaction between foreign customers and the supplier (RIM) can lead to new opportunities and extension of the life cycle. This clearly coincides with the fact that blackberries have shown an extended growth in life cycle across Middle East markets in particular, and in doing so, they are also able to improve operations by allowing for the free flow of ideas and creation of an improved product fit for both consumer and producer. With this new market in mind, RIM needs to think of perhaps hiring more local talent based in the Middle East, in a way to further ensure success in the region. In doing so, RIM can make its mission explicit by allowing for an employee base that understands cultural implications and habits. This could help solidify the strategy for the company and make it more concrete and attainable. By doing that, RIM can continue to produce the Blackberry, ensuring a loyal client base in the Middle East and other global markets that are consistent with its reputation, values, and its ability to generate profits by capitalizing on market and cultural trends. With new market trends on the way, most notably Instagram which only works on the iPhone (and more recently on Android), how do you think RIM needs to respond to ensure growth, profitability and loyalty by its client base in the Gulf? 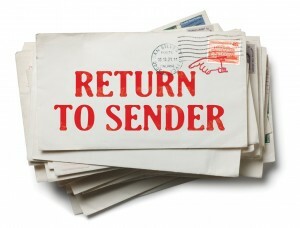 With the innovation in technology and services being offered by banks today it would be logical to think that the volume of physical mail being sent out will shrink substantially seeing a corresponding reduction in the amount of return mail. However over the past year my Bank has been facing an issue of having to deal with huge amounts of returned bank statements. There were various reasons as to why the statements were being returned; in this case it mostly attributed to a change in banking regulation-obliging banks to print statements to all deposit accounts where previously were only printed for specific accounts. With the unanticipated amounts of mail pouring in, it deemed essential to start to analyze all the different reasons to why the pieces returned and what is it costing us. What is the total operational cost of postage, printing, handling, research and re-mailing? What about the value we lost with returned communications? The delayed or missed payments, unawareness of bank charges and the overall customer service expenses? The bank has already approved a project to centralize, automate and monitor return mail operations. By having all statements to be printed with bar codes and returned back to a central operation that will be able to simply scan the bar codes and capture how many times the statement has returned, and to ultimately stop printing upon the third time. We will also be able to capture all the problematic accounts and attempt to contact the customer in different methods in order to update their information and encourage them to use e-statements. I have highlighted one small operation that possibly was not be seen to have a dramatic impact on the banks performance but it is a growing problem and may have a huge impact in the future with our customer base growing everyday. 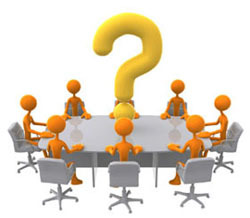 As Head of Customer Resolution I am able to see a lot of the operational and process issues we are facing with at the bank through customer complaints, and by taking this class it has stressed the importance of how reducing operations cost is the best method to optimize in an organization. I am also looking forward to learn the importance of managing quality, and conducting process redesigns and how they ultimately lead to improved efficiency, profitability and operational excellence. This after all is my view, so do you think our Bank is on the right track with their cost management initiatives?